Christina Roth, born 1974 in Jugenheim/Bergstrasse (Germany), studied materials science in one of the first classes at the Technische Universität Darmstadt. 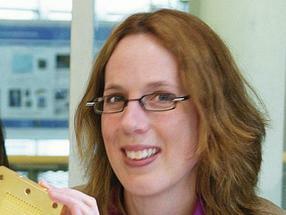 From 1998 to 2002, she prepared her disser­tation in the special field of structural research under Prof. Hartmut Fuess. Subsequent to stays abroad in Poitiers (F) and Liverpool (GB), she was appointed junior professor in the materials science department in 2004 and habilitated in 2008. For her research work on the detailed structural and electro-chemical characterization of nanoscale catalyst systems, as well as on in-situ X-ray absorption spectroscopy, she received the Adolf-Messer award of the Technische Universität Darmstadt in 2010.